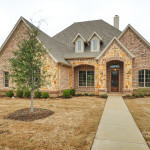 Welcome to The Preserve at Pecan Creek. 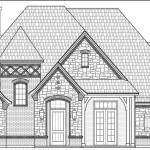 This master-planned community located in Denton, Texas offers a beautiful setting to build a home and grow a family in the Dallas area. 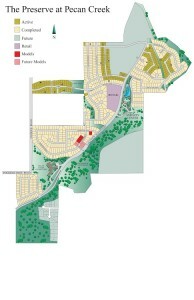 The Preserve at Pecan Creek is designed for family living and includes an amenity center with pool and covered areas, a covered playground, hike and bike trails, an onsite elementary school and ample green space for family and community activities. It is located 20 miles due north of Dallas-Fort Worth International Airport and is well-situated for business centers in Dallas, Denton, and Fort Worth. 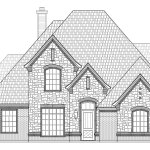 With some of the area’s top builders committed to designing quality homes, The Preserve at Pecan Creek is the perfect place to build a new home near Dallas, Texas. 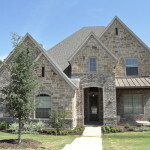 The Preserve at Pecan Creek is a beautifully landscaped and heavily wooded natural environment. Parks, greenbelts and lushly landscaped boulevards are evident throughout the community. Amenities include a network of small intertwining and larger trails, an exemplary onsite elementary, a covered playground, and the amenity center’s community pool and clubroom. The beauty and amenities of The Preserve at Pecan Creek make it a prime location for families to come together and escape the concrete of the city. 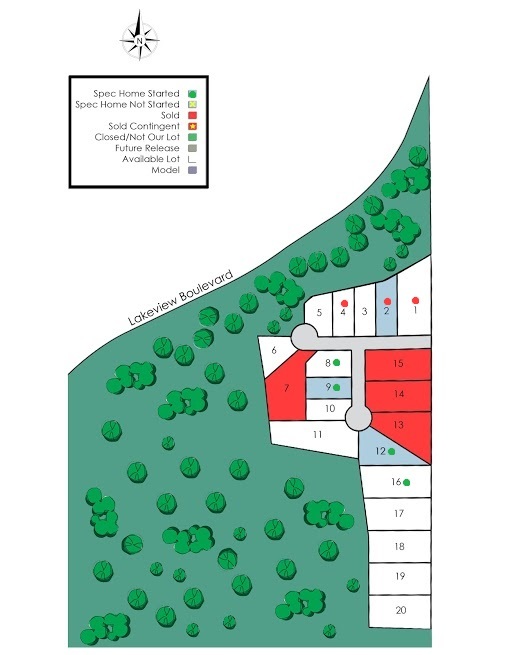 The Preserve at Pecan Creek features a beautiful, wooded trail system that weaves throughout the community to provide a place for children to ride their bikes and families to enjoy leisurely walks through beautiful scenery within their own community. The Denton Branch Rail Trail is a public trail that is very easily accessible from The Preserve at Pecan Creek and is an eight mile, paved trail recently extended to the Denton County Transit Authority (DCA) A-Train, a public transit stop on I-35. Whether looking for winding, wooded trails or a multi-mile marathon training ground, you can find it at The Preserve at Pecan Creek. The Amenity Center is the perfect place for neighbors to gather for a celebration or on a sunny day. Available to all residents, the pool facility with cabana and clubroom is located in a lush greenbelt adjacent to the play area, in the heart of the community. The Amenity Center includes an adult pool, a tot pool and play area surrounded by lounge chairs and tables. The pool is the perfect escape for the whole family on a Texas summer day and provides places to take a break from the sun. The play area includes a fun and colorful playground complete with slides, tunnels and climbing features located along the greenbelt near the pool and amenity center. The ideal place to take an energetic child on a sunny day, the playground is shaded to protect children’s sensitive skin from the baking heat of summertime in Texas. Shaded benches facing the playground provide a relaxing place for parents to enjoy the day and keep an eye on their children. There is also ample green space surrounding the playground for pickup games of Frisbee, wiffle ball, tag or any number of other games for residents, young or old, who want to picnic or spend the day outside.